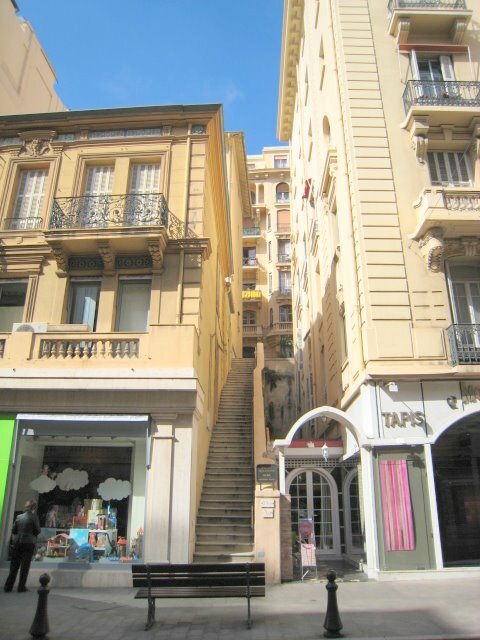 The tiny Principality of Monaco is built on many levels and this scene in Boulevard des Moulins is typical with steps leading from one street level to another. You will also find free public lifts all over the place, which makes life easier for residents coming home with their shopping. In addition, many buildings can be entered from the lower or the upper level. oh my gosh... stairway to heaaaven!! HI! My first time here Jilly! The colors in this snap are beautiful! That's it! I wanna come visit! beautiful photo!....but all those stairs? ugh.